citron: A bright and lively citrus scent that is sumptuous, warm, yet very fresh with a sparkle of bergamot. 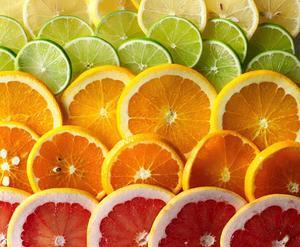 citrus: A wonderful blends of orange, lemon, and lime. Bright, bold and crisp – a great wake-me-up scent. cut lemongrass: A wonderful aroma of fresh cut lemongrass with a hint of verdana green herbal notes and a undertone of earthy patchouli and fresh neroli. jewelled citrus: Forget rubies and diamonds, this citrus sparkles on its own. lemon balm: If you like lemon you’ll love this distinctive herbaceous citrus blend with hints of rose and fresh, green grassy notes. It smells natural and not like commercial cleaning products scented with lemon. lemon verbena: This delicate tart, citrusy blend has a rich lemony top note that leads into crisp, green, floral-herbal base notes. A modern blend of lemon and grassy herbals, kissed with a bright floral note. lime: Sharp, citrusy green. The perfect skin cooler on a hot summer’s day! mandarin breeze: A mouth-puckering citrus blend that screams “WAKE UP!” A sweet and zesty scent that boasts notes of pink grapefruit, orange, lemon and lime. mandarin orange: Orange, but less sweet. This is a stronger orange citrus, with an oriental touch. Aids in fighting depression and helps those looking for a relaxing and good nights rest. neroli: Earthy-citrus notes remind one of natural orange blossoms. This scent is green on top and its heart is a fruity citrus accord. ​tangerine: Just a bit tangier than our orange, a brisk citrusy scent.